This national honor recognizes top leaders among the next generation of home builders, developers, designers, researchers and sales professionals who are innovators in their industry and active in their communities. At the age of 37, Corey was selected for this honor not only because of his impressive career at PulteGroup, but also for his support of the homebuilding industry in New Jersey. In 2012 he was elected the youngest president ever of the regional Shorebuilders Association of Central New Jersey. Corey’s leadership was especially timely given the rebuilding necessary after Superstorm Sandy devastated the New Jersey coastline in October 2012. Corey has also been active with his alma mater Rutgers University’s Center for Real Estate, whose goal is to get today’s students interested in homebuilding and real estate careers. Corey’s outstanding community service was also recognized as part of the ‘Forty Under Forty’ honor. 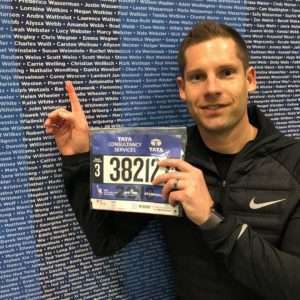 An avid runner, he completed the New York City Marathon last November in 3 hours and 46 minutes as part of the team for the charity JAR of Hope. More importantly, he raised just over $23,000 on behalf of the organization, far in excess of his $5,000 fundraising goal. In his current role, Corey oversees the Northeast Corridor division’s site selection, underwriting, negotiation and land purchases throughout eastern Pennsylvania, New Jersey and southern New York. His work involves identifying and performing due diligence on new development opportunities, doing strategic forward planning, and delivering the company an adequate supply of land in challenging high-barrier-to-entry markets. So far in his career Corey has been responsible for the sourcing and contracting of projects totaling more than 4,000 homes. What do you like about your role? And what do you dislike? What’s the most challenging deal you’ve worked on? To date the most challenging deal I’ve worked on is a project we recently closed on and is under development in Florham Park, NJ. This project is a planned Del Webb community of 425 units including mid-rise condominiums, townhomes and single family homes. Florham Park is a highly prestigious submarket and our Del Webb project will include significant amenities while also being locally convenient/commutable to recreational, cultural, entertainment and employment centers. The project was challenging for a number of reasons. It was originally in contract to Hovnanian in the early 2000’s before they were forced to terminate their contract as the economy headed into recession. I started campaigning with the land seller (Rockefeller Group) to give us an opportunity to work with them in 2007. It took the better part of 6 years before they would engage with me in any meaningful negotiation. From there, it then took a few years to finalize an agreement of sale, followed by many more years of challenging due diligence, environmental investigation/remediation, entitlement work with the regulatory agencies and necessary renegotiations with Rockefeller along the way. That said, we all have long believed (and still do) that this is one of the most highly coveted pieces of property in New Jersey and cannot wait to bring it to market. What about your job gives you the greatest sense of satisfaction? It has always been seeing finished, mature communities with families that chose to move in to these neighborhoods because they recognized the same attributes to it that we did when chose to put the land under contract. Seeing a piece of property and believing that it can be repurposed for something better, and then having the market agree with you always gives our team a great amount of pride in what we do. Previous ArticleFrom Carnie to the C-SuiteNext ArticleWhat Does Your Body Language Say About You?